If your applications give users access to potentially sensitive information, it’s critical they only access and perform operations on permissible data. The right people accessing the right data at the right time. Your applications access potentially sensitive information like personally identifiable information (PII), personal financial information such as credit card data, or sensitive corporate information like financial reports, product plans, or research data. Therefore, you must ensure only the right people have access or modification rights to that data. The rules that say who can access what data, and under what circumstances, are complex and change frequently. Your application developers struggle to get the rules right, and by the time they finally do get them right, the requirements change and they need to reimplement them. Managing the ever-changing authorization rules is time-consuming, error-prone, and takes developers away from what they do best. Are applications running across highly distributed, sometimes disconnected environments wreaking havoc? Then you need a standards-based, XACML solution for your applications. As well as fast authorization decision response times and the ability to work in a highly distributed, sometimes disconnected environment. 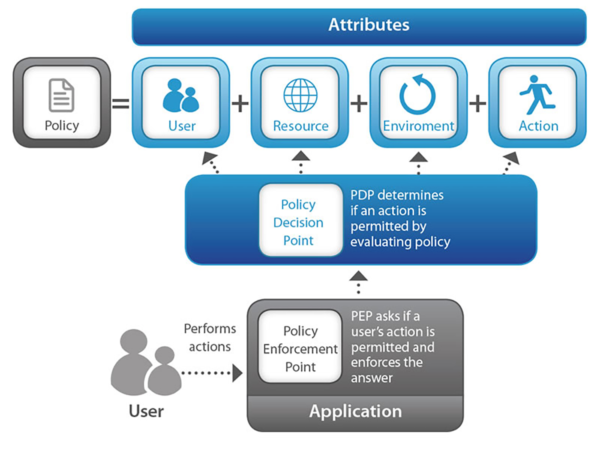 XACML policy decision points (PDPs) typically fetch attribute data from multiple sources when they serve an authorization request. This slows down authorization requests substantially leaving applications vulnerable to networking failures between the PDP and the attribute stores. Externalizing the access control rules from the application so that your developers can manage them without changing code is the best strategy to cope with complex changing authorization rules in your application. Access Sentinel from ViewDS provides an easy-to-use, standards-based authorization platform for your applications that let your developers compose, manage, and implement complex, fine-grained authorization policies without having to change the application code every time the policies change. Access Sentinel is built on a high-performance attribute store that keeps a replicated, read-only copy of attribute data local to each PDP process. Authorization decisions are lightning fast and can proceed without interruption even if the external attribute stores are unavailable due to a network or server failure.